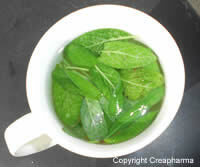 – Heat water to boiling then pour it over the sage leaves. 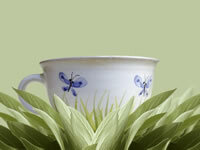 – Drink a cup several times a day for chills or sore throat (also to be used as a gargle (3 times a day with sage tea). – According to a study published in the European Journal of Medical Research in september 2009, an echinacea/sage preparation was as efficacious and well tolerated as a chlorhexidine/lidocaine spray in the treatment of acute sore throats. – Avoid consuming this tea over a long period (several months).